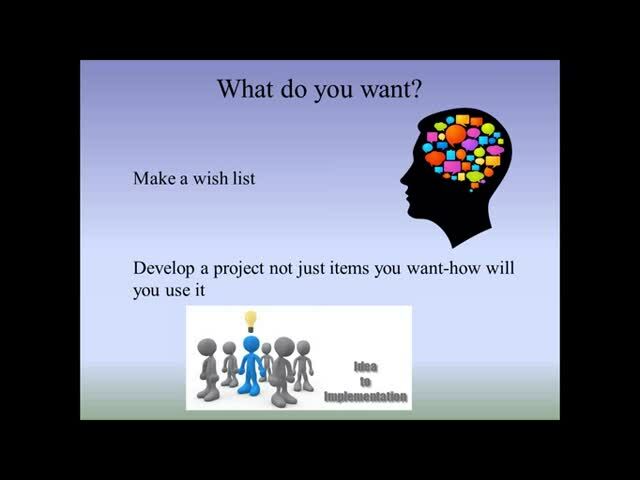 Have you ever considered applying for a grant for your school or classroom, but weren't sure what you needed to do or how to go about it? 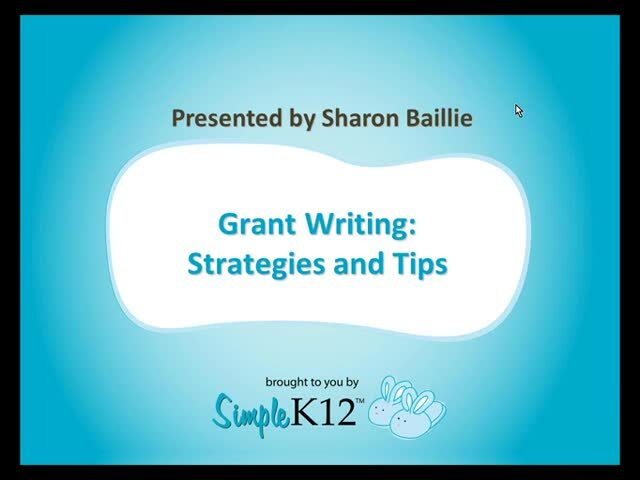 Join Sharon Baillie as she shares some of the techniques and strategies that she has used to apply for and secure over $88,000 in grants for her classroom. She will provide information on the grant writing process that you need to follow and share some opportunities for you to consider. 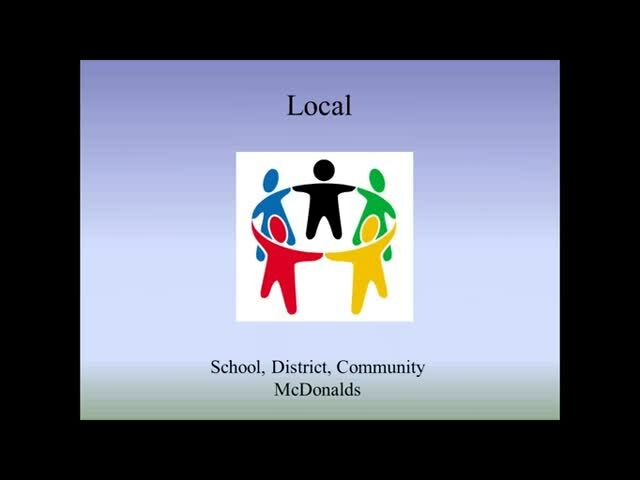 The webinar will also cover coming up with ideas, finding a grant, checking school requirements, collecting necessary data, determining budgets, and reporting. 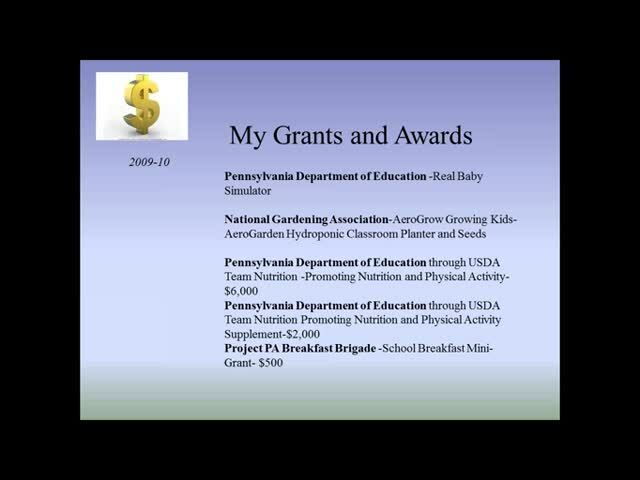 Team Nutrition is an initiative of the USDA Food and Nutrition Service to support the Child Nutrition Programs through training and technical assistance for food-service, nutrition education for children and their caregivers, and school and community support for healthy eating and physical activity. Thank you for all of this information, the time it takes to write for a grant is cumbersome. Nice work with this presentation. 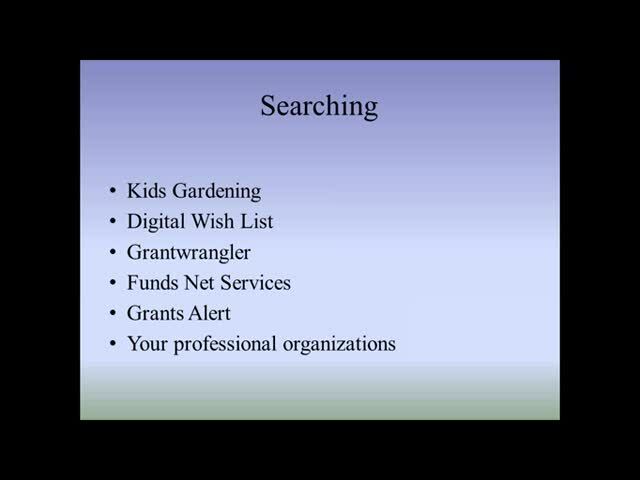 Excellent resources where to look for grant money. Thanks Sharon. I've found that time is the biggest reason teachers don't write more grants. Excellent webinar with great resources for creative educators in need of funding. Great webinar. I'm in shock that she said an admin didn't let someone accept a grant. Seems extreme to me.